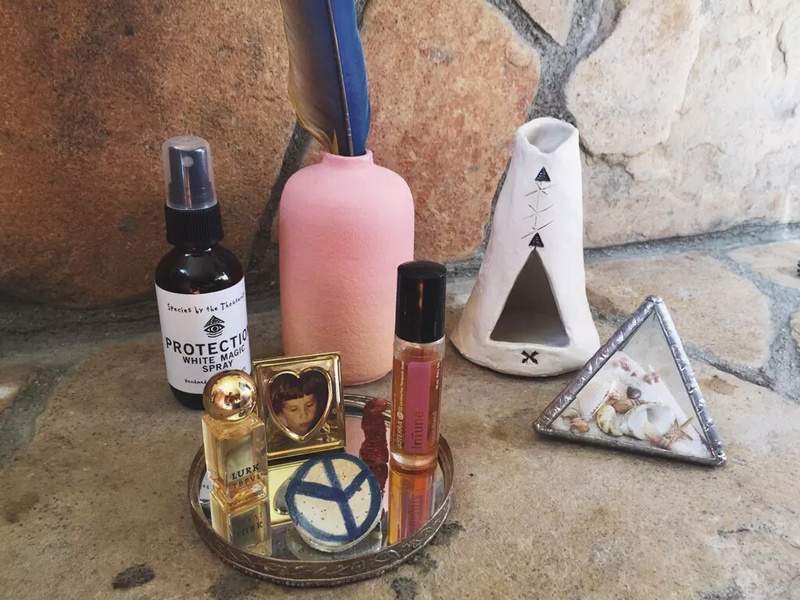 On August 13th, 2015, the singer and songwriter Alanis Morissette posted this picture on her Twitter account, with the comment: “Never a missed opportunity to build this week’s altar in the bathroom w/some of my favorites”. The aforementioned altar includes three beauty/wellness products, a photo in a heart-shaped frame, a tiny statuette, a Daren Wilson vase with a feather in it, a candle holder and a glass pyramid with sand and shells in it. 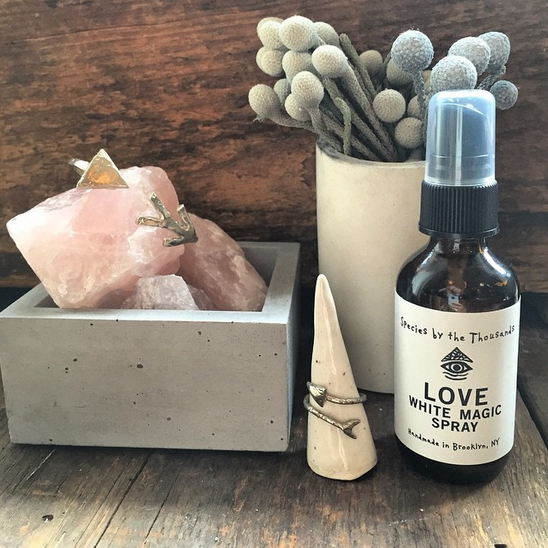 The first beauty product is Love White Magic spray by Species by the Thousands, a Brooklyn-based shop. This contains distilled water, vodka and a mix of 100% natural essential oils (ylang ylang, palmarosa, lavender and geranium). It can be used during meditation, as room refresher or a personal misting spray. 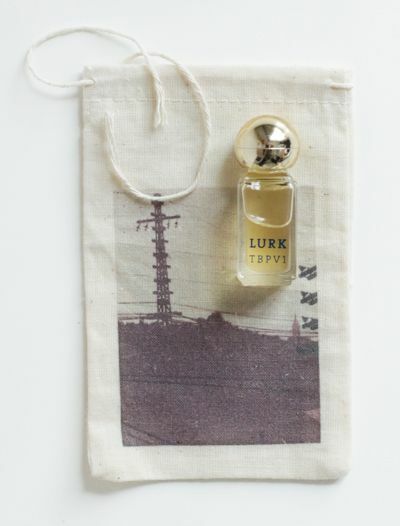 The bottle with the gold cap is a perfume oil, TBPV1 by Lurk, another New York-based shop. This oil mixes floral and black pepper notes. 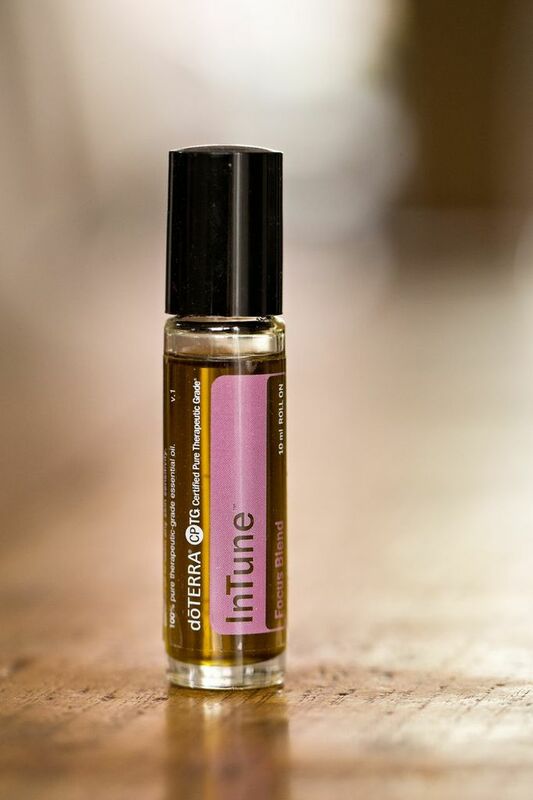 The vial with the black cap contains dōTERRA InTune, a blend of essential oils, among which sandalwood, frankincense, lime, patchouli, ylang ylang and Roman chamomile.